Who is Quetzalroo? 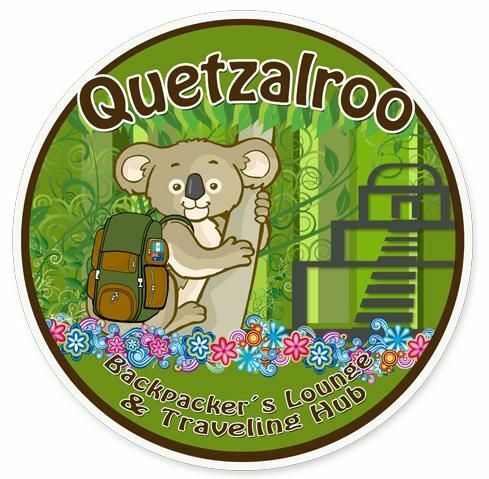 The founders of Quetzalroo are two travellers who met in Australia and who have opened up their own backpacker’s hostel in Guatemala City. We wish to share our passion for travelling with others and provide our guests with safety and comfort as they discover Guatemala's capital city and use it as a hub for exploring the rest of this beautiful country.Quetzalroo offers a boutique hostel with personalised service. We are located in the centre of 'Zona Viva' (the 'live zone'). This is the nicest, safest & cleanest part of town where you will find the best hotels, restaurants, nightlife and shopping malls. We are also close to the airport (about a 7 minute drive).Our hostel has comfortable beds (including linen) in mixed dorm accommodation with shared bathroom facilities. 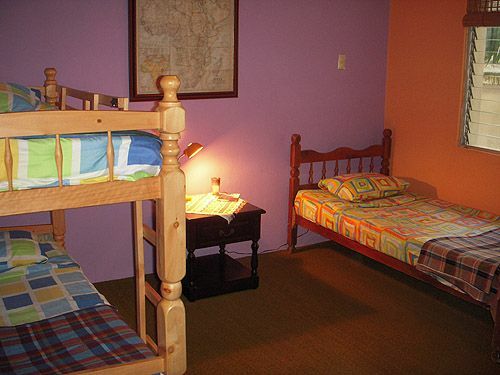 In addition, we have a private room for single or double occupancy, with shared bathroom facilities. We also have a kitchen, so if you wish to save some money by cooking your own meals you can, as the closest supermarket is within walking distance. We have a cool area for you to enjoy your meals, catch up with friends in our internet room (or you can use your own laptop), our internet service is free. We also have a common room for chilling out in, watching a DVD or reading a book... we call this the Outback Lounge.Our nightly rate includes free transport from and to the airport and we are also more than happy to take you anywhere in zones 10, 9 and 13 (museums, bars and restaurants) in our own private vehicle. Also included is complimentary continental breakfast, including toast, fresh fruit, tea or a cup of Guatemala's delicious coffee... mmm... smell the beans roasting now...! 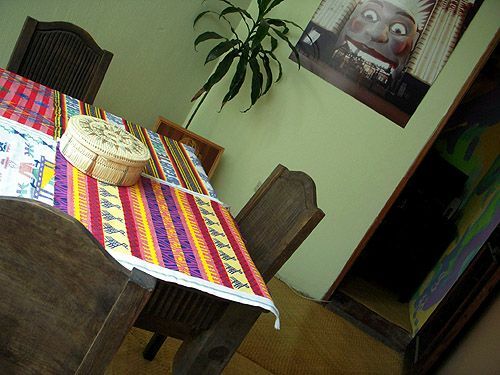 We can even prepare your breakfast before an early morning departure for your onward journey.Quetzalroo looks forward to welcoming you to our hostel and of course, Guatemala City! Go to Avenida Reforma in Zone 10, at the US Embassy turn right at 6ta Calle, travel down 6ta Calle until you reach 6ta Avenida, make a right turn then look for Hospital Herrera Llerandí. We are located across the road (there is also a McDonalds 2 doors down).